Project Care volunteer Suzanne Koprowski. Submitted photos. GRAND RAPIDS – In honor of National Volunteer Week, April 7-13, organizations across the country are paying tribute to millions of volunteers who give their time to transform communities and support causes like mental illness, financial instability, and youth education. These individuals help children learn to read, assemble hygiene kits, cook meals for the homeless, provide rides to medical appointments for seniors, and teach money management skills. They serve on the volunteer Board of Directors, fundraising cabinets, and numerous committees. They also advocate on the state and federal levels. To honor individuals and their extraordinary dedication to giving back and improving lives, United Way presents Volunteer of the Year Awards to individuals who have made outstanding contributions to United Way’s partner agencies. KOOTASCA Community Action member Dee Bretti. Suzanne Koprowski was named a United Way Volunteer of the Year for her support of Project Care and for her key leadership, volunteerism, and vision for making our community a healthier place. 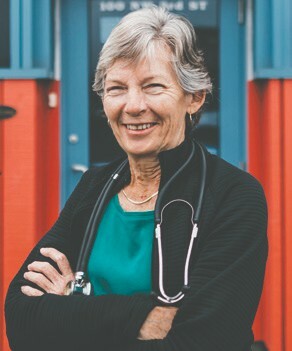 A founder of Project Care, Suzanne has been a strong supporter for ensuring that medical care and advocacy services are available to all patients, regardless of their ability to afford care. Before she began advocating for the free clinic, she was a co-founder and nurse practitioner with New Women’s Spirit Clinic. She served eight years on the organization’s board of directors and is involved in the outdoor Pickle Ball program at the Itasca County Family YMCA. She has also served on the Salvation Army and currently served on the Children’s Mental Health board of directors. Her efforts are invaluable to the families and individuals she cares for and to the Project Care organization. Dee Bretti has dedicated her life to ensuring that children and families have the necessary tools and opportunities to better themselves and their situation. Dee has served on the KOOTASCA Community Action board of directors for more than eight years, performing roles of officer, chair, and a board representative on the Head Start Policy Council. 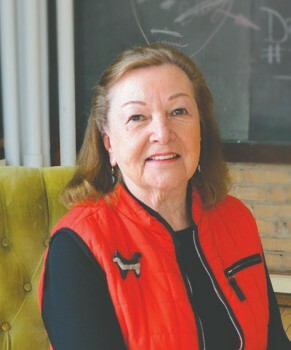 She has also served on the Visit Grand Rapids Itasca Area Attractions & Events and Tall Timber Days Festival committees. A retiree from KOOTASCA Community Action’s Head Start program, she draws from her 35 years of experience when working one-on-one with program parents and families by providing mentorship as they take on board leadership roles and celebrates milestones. These recipients are just two of the many people sharing their time and experience to make a positive change in the community. To learn more about volunteer opportunities, including United Way’s community-wide Day of Action on June 21, call 218-999-7570 or visit www.unitedwayof1000lakes.org/volunteer.